No hassle of charging your video doorbell pro continuously. No more any low battery situation. 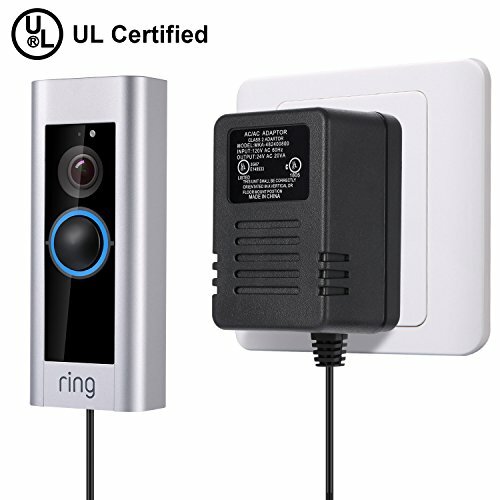 No limit of installing the video doorbell pro at some places without any pre-existing wire. Loose the 2 screws on the back of the video doorbell pro, make sure 2 nickle wire tips attached to the connector junction, and tighten the screws. The power adapter can be set up in minutes. Replace the original way to charge the doorbell pro, decrease the using time of the rechargeable battery (no included), prolong the lifetime of device.